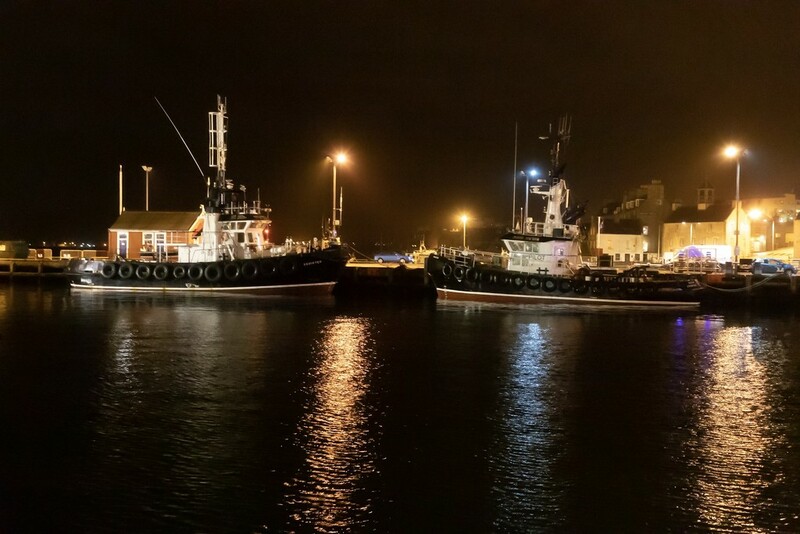 The Lerwick Port Authority pilot / tug boats at their winter station this evening. I would really like a run out in one of these but I doubt that will ever happen. You will have to ask them nicely......or offer a bribe !!! Offer them a framed print of this image. They can't refuse :-) Great shot.